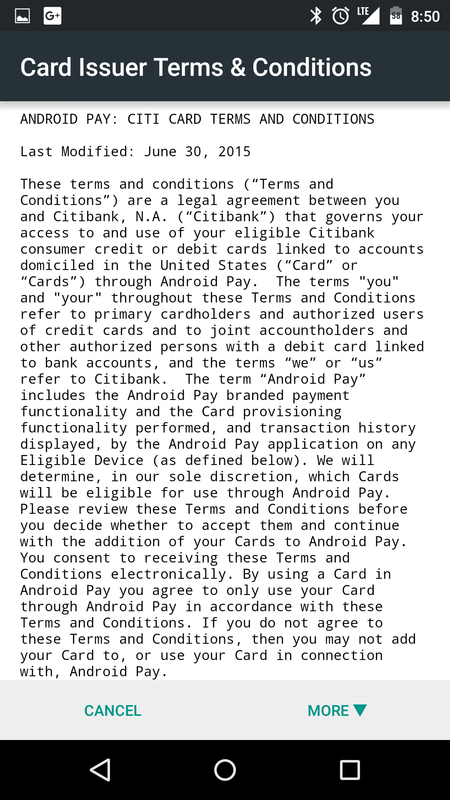 We started hearing reports the other day that Google had thrown the switch to allow Citi cards to be added in Android Pay, but we were unable to get confirmation. 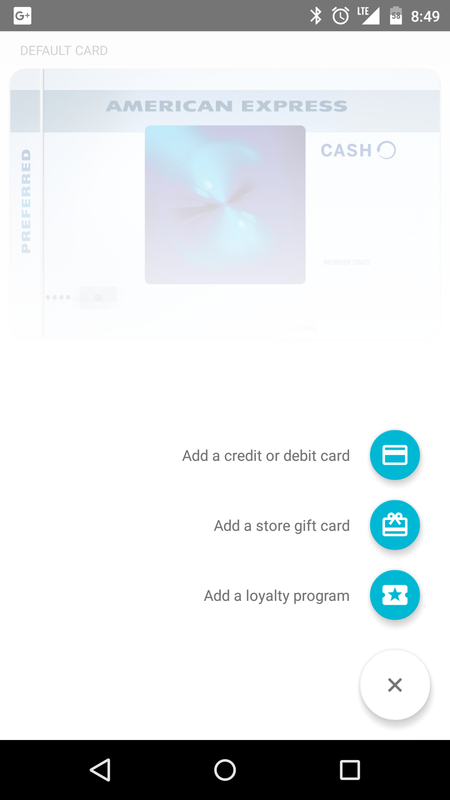 Now the Android Pay site has been updated, and there can be no doubt. Citi is a go. The Android Pay site now lists Citi without the "coming soon" label. The only one still pending now is Capital One. 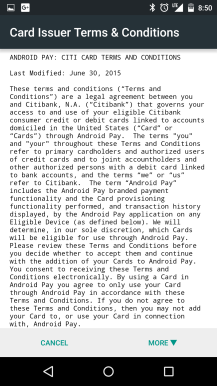 Of course, there are plenty of banks big and small that aren't included on the Android Pay site at all. It's not clear if or when others will get on board. 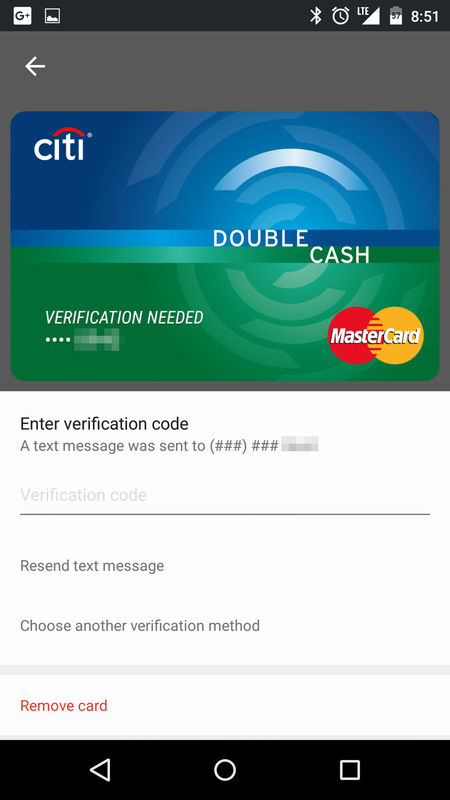 If you've got a Citi card in Android Pay already as a virtual card, you should remove it before adding the card number the standard way. 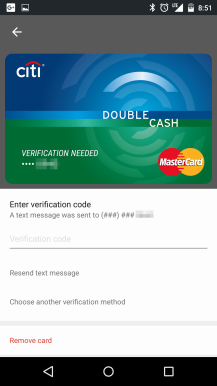 After adding the card, you'll need to verify with a code provided by phone or SMS, or by calling the card issuer directly.